Realistically, Spybaiting a.k.a the technique of "Silent Capture" is still in its infancy. 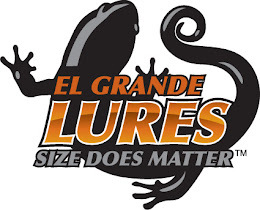 Perhaps not so much within the green and brown bass communities, although there is still volumes to learn there as well, but certainly when considering other species. 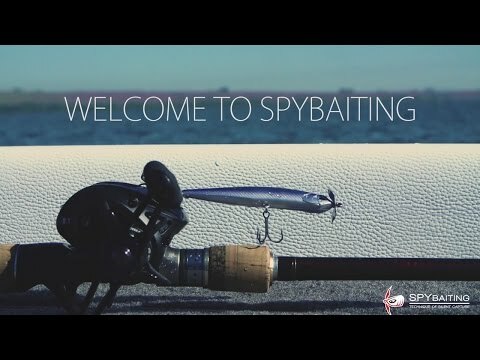 So for all you Spybaiting enthusiasts don't shout me down before you hear me out! There are applications awaiting to be developed with the Silent Capture finesse technique in both freshwater and saltwater. Pioneers of this technique, like David Swendseid, are bringing to the forefront professional and engaging instruction via fast paced yet detailed and informative video presentations. For we gray-tones and old school deep water hounds it is reminiscent of our days learning and then refining the technique of "Spoonplugging" with instructions from pioneers and legends like E. L. "Buck" Perry. Or, Carl Lowrance, who we remember in 1959 began full production of the first mass produced recreational fish finder...the Fish Lo-K-Tor or more commonly called, "The Little Green Box." That "little green box," as the Fish Lo-K-Tor became known, soon revolutionized sports fishing across all waters of the globe. My point: "Pioneers" delivering technique and tool are always, on mission. So today we have a relatively new technique with new educators like Swendseid and new creators...artisans like Masahiro Adachi developing and perfecting tools like the Realis Spinbait 80 and 90 or the Realis Spinbait 80 G-Fix. This grey-tone for one is just as excited today to learn the technique of Silent Capture as I was 50 years ago learning to understand the blips and blinks of stumps and contour changes on the dial on my first Lowrance. Thanks Mr. Adachi - Thanks David, for bringing us Realis SpyBaiting, your way! Heavy Duty to the Max! 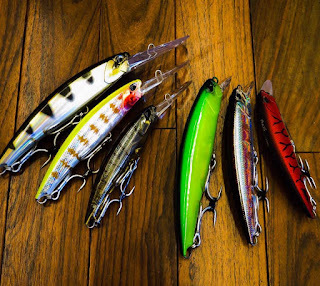 "The Fang Ops series has started with the concept of making the toughest lures in the world while preserving the attention to details, artistry and craftsmanship which made Japanese product renown. The products have been carefully tested for over two years period in some of the toughest fisheries in the world – Papua New Guinea, Amazon, Guiana. 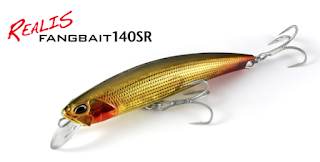 Starting with the range of four Fangbaits, now, it`s time to release the beast!" You WILL want to read the entire News Release to see all the colors; learn about the design process and see the "interior" of Fangbait. The design, the colors and the interior make Fangbaits the perfect choice for tackling the Beasts of the Exotics in freshwater and saltwater with THE BEAST by Realis.! Two years of extensive field testing in extreme conditions, for extreme finned beasts by extreme anglers across the planet brings Realis to the point of saying, "It's time to release the beast!" So I encourage you, if you are a Beast Hunter of the finned variety, if you have freshwater or saltwater Beasts on your bucket list, go to the DUO International web site and search the ‘Fang Ops’ Fangbait series. You'll find just the right Fangbait for your quary. 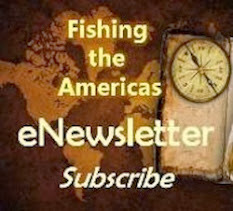 Check the Fishing the Americas Blog often for suppliers here in the states where the Fangbaits will be available. We hope to have that information for you soon. A few weeks ago at ICAST16 as day number one was drawing to a close I happened to stop near a booth to catch my breath and decide if I was going to call it a day or press on with a couple more quick contacts. While standing in the isle this very energetc guy walks up and says, "Watca lookin' at." I said nothing particular at the present just trying to figure my next move. He said, "while you're figuring why don't you step over here and have a look." So I did. Along with my friend and fishing partner Gary, we stepped into the MONSTER3XUSA booth and began talking with Raul Prieto. Can you recall a time(s) when you just happened to be (stop) at the right place at the right time? Raul very confidently began to present his product as matter of fact the best product of its kind out there. I'm sure others have their own ideas about that but I respect someone greatly who can passionately yet professionally articulate the particulars of their wares. Raul was good, real good. Then as I learned, he had a product I had heard about in Brazil but just hadn't run accross in the US. (More about that in another post) I can tell you this much, we are already testing them for ourselves on Monster Redfish, and as you will see, they work really well, and in November we'll be taking a bunch to Brazil for Peacocks and probably a bunch more to Uruguay in 2017, for Golden Dorado. Enough, more about that later . . .
Well, there are good trips, and then there are terrific trips. 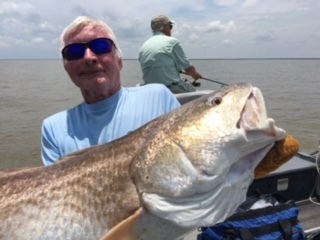 This latest trip with Captain Keith was one of the terrific varieties, and the last day is of what redfishing dreams are made! Just ask my great friends, Jeff Stagg and Don Cutter who accompanied me this time. 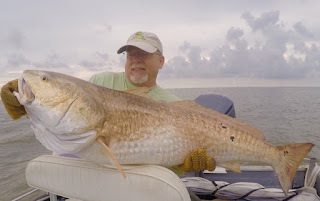 For the first two days, we put 41 total bull reds in the boat, which is certainly not bad. On the third day however, while the clicker showed an official count of 42, we all felt that many more were missed during all the triple hookups with resultingexcitement, confusion, overlapped lines, and other headaches in general! For approximately 2 hours, we had a redfish on every single cast! It was that good! by Brazilians that I met at ICAST from a plastic they developed that is the most durable I have ever seen! They say you can stretch it the length of your arm (I didn't try), but I did see that multiple redfish had no effect on it whatsoever. It takes some effort to get it on the hook, but when you do, it sticks like glue (without any)! I continue to say that Captain Keith's 3 day all-inclusive package is the best deal in all of sportfishing, and nothing whatsoever has caused me to change my mind. This was my old friend, Don Cutter's first trip there, and he told me time and time again that it more than lived up to all I have ever said about it. The Captain has very limited space available yet this year, so I hope you will contact him as soon as possible about filling it, or booking something early for next year. Tell them Fishin' the Americas sent you for a special deal! Now, I think you will agree, that's two great monster reports for the price of one! Introducing Duo Realis "Fang Ops"
"Mr. Fang" Kazuhiro Uyama is along with Mr. Adachi now in Papua New Guinea chasing Papuan Bass and he brought some heavy tools this time. Yes, what you can see are three sizes of Fangbaits and just to let you know, the smallest one is 120mm. "What do you tie on your rod when you plan to target a 20kg Papuan bass, 40 kg barramundi or 100kg arapaima? What tackle generates enough confidence to tie it on even when fighting a world cass record fish? The answer - the Fangbait series. Developed by Kazuhiro Uyama and tested on his many trips to chase the greatest of world predators, Fangbait aims to become a staple in "beast hunters" tackle boxes. As a pioneering model for Fang Ops brand, it represents the concept of building some of the toughest lures in the world to the fullest." 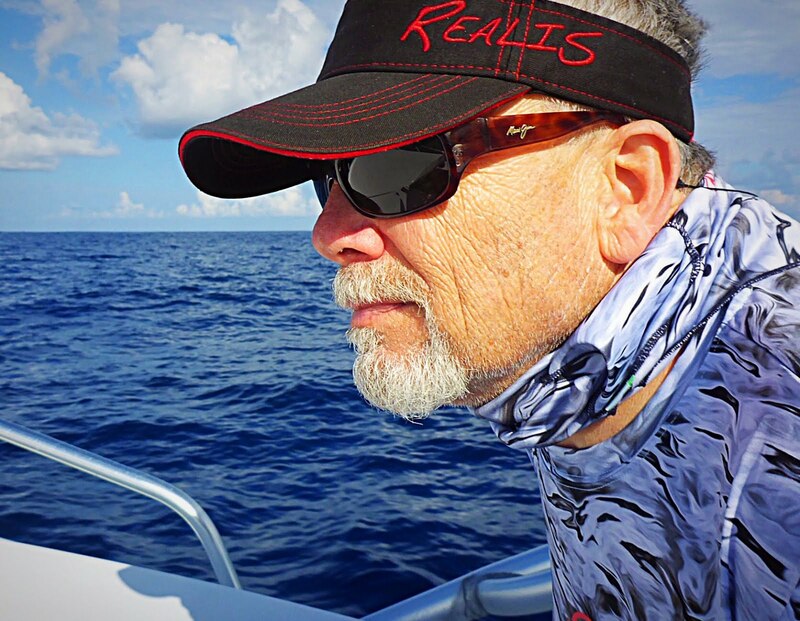 Coming soon, the Realis design concept, so stay tuned here at Fishing the Americas. I remember reading the historical stories about the mountain men of the early1800’s and their annual Rendezvous in the Wind River Mountains region of the Rocky Mountains. How the sage and salty men of the trade blankets would go to great extremes, enduring all kinds of hardships and many demanding days of travel endurance, just to reach Rendezvous. Then finally arriving to a convention of like minded individuals set on their itinerary for the days ahead. Days of buying, selling, trading, demonstrating their wares; networking and surely, celebrating. Celebrating new and old endeared friendships and the achievements of the Best of the Best! Sound familiar? If you are an annual ICAST attendee it should. 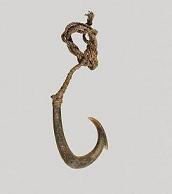 Interesting Tidbit: One of the favorite trade items between the Mountain Man and the Native American was bone fish hooks. July 12-15: ICAST Rendezvous2016 Orlando County Convention Center, Orlando Florida and the International Convention of Allied Sportfishing Trades, better know as ICAST. Produced by the American Sportfishing Association (ASA), the sportfishing industry’s annual trade show Rendezvoused for its 59th year. Over 15,000 industries representatives from the global sportfishing industry gathered to witness the latest innovations in gear, accessories and apparel encompassing the 650,000 gross square foot show which included displays developed by over 700 businesses. These “united trade shows” are the perfect venue for launching new fishing products and sparking new trends in the growing recreational fishing industry. The 2016 show added yet another allied attraction to the venue with the opening of the Marine Accessories Pavilion, hosted by the National Marine Manufacturers Association (NMMA) thus, expanding the shows appeal to a wider cross-section of industry buyers. Annually, the single most important feature of the ICAST show for exhibitors and attendees alike is the New Product Showcase. The New Product Showcase embodies the sportfishing industry’s innovative and entrepreneurial spirit and rewards that ingenuity through the “Best of Show” new product awards competition. This year, more than 1,000 tackle products and accessories were entered by more than 240 companies into 24 “Best of Show” categories in the New Product Showcase, all competing for the overall ICAST 2016 “Best of Show” award. Making up a special section of the 650,000 gross square foot show floor, the ICAST New Product Showcase, the Highlight of the Show, provided special visibility for the industry’s latest innovations in gear, apparel and accessories. You may find a complete list of the 2016 Best of Show Award winners immediately below this article with direct links to the products but now let me give you my ten takeaways from the 2016 show. Number 10: The ICAST show at 650,000 square feet is enormous. I spent three full days, granted some time was spent in meetings, and I know I missed out on something new. I really think at this size and certainly with any further growth a four day show is in order. Number 9: Cobra Garage Door Storage - Whoever thunk this one up earns a special gold star! Best of Show in tackle management. I’ve looked at the back of garage doors for years and missed the potential of this application altogether. Brilliant! A place to store, paddles, push poles, gaffs, rods, and so much more out of the way. More space is always good! Check it out. Number 8: Apparel - In a word abundance? If you need to wear it you could find it. From belts to buffs and head wear to foot wear. From technical to trendy and all in between. Salt life styles to fly life styles. Bright to conservative colors and safety wear to temperature controlled. But to boil it all down to who’s Hot and who’s not and who trips this trigger for 2017, its gotta’ be HUK Performance Fishing! Truly offering a fresh take on the fishing world as well as offering styles that are indeed young and current, but still appeals to this ole’ fossil! 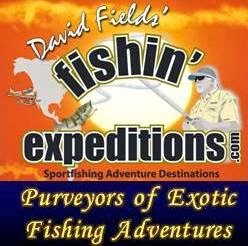 Number 7: Destination Travel - How does a great adventure fishing destination make it into a sportfishing tackle show? Well, you gotta’ try the new toys and gadgets out somewhere and it might as well be Costa Rica. Besides that, the owners and staff are just great people that happen to enhance your life at the show or your stay at the premier sportfishing destination know as Crocodile Bay. Located on 44 acres between Costa Rica’s South Pacific and the largest coastal rainforrest of the Americas, Crocodile Bay offers “world-class” sport fishing for tackle busting brutes of the Pelagic variety. I can’t wait to get there! Have a look. Number 6: Abu Garcia® designs and creates premium reels that push the limit of today’s low profile reel market. 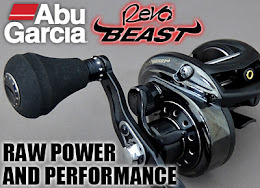 Abu Garcia now offers the lightest Revo baitcasting reel ever produced with the new 4.5-ounce Revo® MGXtreme®. The reel is packed with features serious anglers demand to make them more efficient and more effective on the water. I still love my Revo MGX but there may be a new little brother in the tackle closet soon named MGXtreme! Click Here. 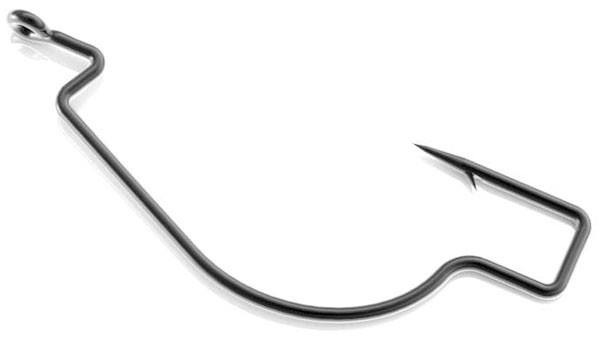 Number 5: “Build a better mousetrap” in this case design a better fishing hook. Possible? 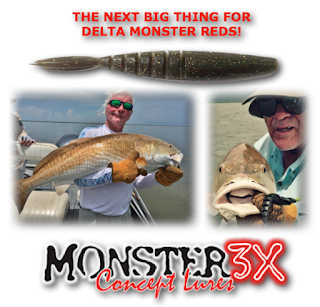 effective way to catch all types of fish in fresh and salt water and Monster 3X stands alone when it come to strength, durability and toughness.” So says the Monster3XUSA partner and spokesman, Raul Prieto. I’m doing a little testing myself and you know what, so far HE’S RIGHT! Click Here. Number 3: He’s back! Remember your old favorite? Penn's Slammer spinning reel returns due to popular demand. This time the new Slammer III features IPX6 sealed system to keep water out of the gear box and drag system in heavy spray and sea conditions. Gear ratios range from 6.2:1 with 37 inches of line retrieve on the smaller reels to 4.2:1 with 43 inches of line retrieve on the largest. Maximum drags start at 30 pounds in the smaller models to 60 pounds on the largest. Want to see one or win one? Click Here. Number 2: Enter (just who I was looking for) Duo International Realis. Japan’s foremost leader in lure innovation and quality. A product that I’ve had to search hard to find. At least in the models, sizes and colors I have wanted. I’ve used the Realis line for Largies over the last few years with exceptional results and addiction, but I need their Saltwater Fangbaits for the South American exotics we chase like explosive Peacocks, toothy Payara and the steel jaw “River Tigers” or Dorado’s. 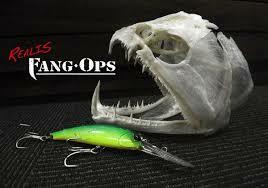 Introducing “Fang Ops” and “The Beast Mode” Fangbaits. Coming soon. See it Here. We’re all in! Number 1: I gotta say, at least for me, that the most encouraging observation of the 2016 ICAST Show was this: The industry is fully supportive and absolutely behind our youth in fishing and in introducing this generation to the industry. I have never seen, in my 15 years attending ICAST, the level of interest for our youth so apparent from industry people, angling icons, companies and professional fishermen and fisherwomen as I saw in July. I began noticing this about four years ago but this year was stunning. Countless times I watched industry insiders and company personnel alike drop their intense ‘one on one’ conversations, perhaps even with clients, to address a question from a young angler or an aspiring high school or college fishing team member. Congratulations fishing industry . . . for dropping everything else to both invest and indulge yourselves into these young people. They are your ICAST peers of the future. Well done! Let’s all remember to take a kid fishing and introduce them to the great outdoors! Best of Show - Fly Reel – Pure Fishing, Inc.
Best of Show – Lifestyle Apparel – Under Armour, Inc.
Best of Show - Boating Accessories – Johnson Outdoors, Inc.
Best of Show – Boats - Johnson Outdoors Watercraft, Inc.
Best of Show – Line – G. Pucci & Sons, Inc.
All of these products showcased and introduced at ICAST16 will begin showing up in your favorite fishing tackle stores later this fall and in 2017. Check back here at the fishing the Americas Blog for updates on these ICAST2016 award winners and other great products.